I added the disc about three weeks ago. Yesterday I noticed Mephy on it. That's the first I have noticed anyone actually crawling on it. Tonight I caught Beelz having some fun! I managed to catch a video too! The WYZE cames are so awesome! I love that spinning disc! So cool he’s using it. I like that you added craft mesh to it! I have obtained a few from adoptions. I've just never liked their positioning. 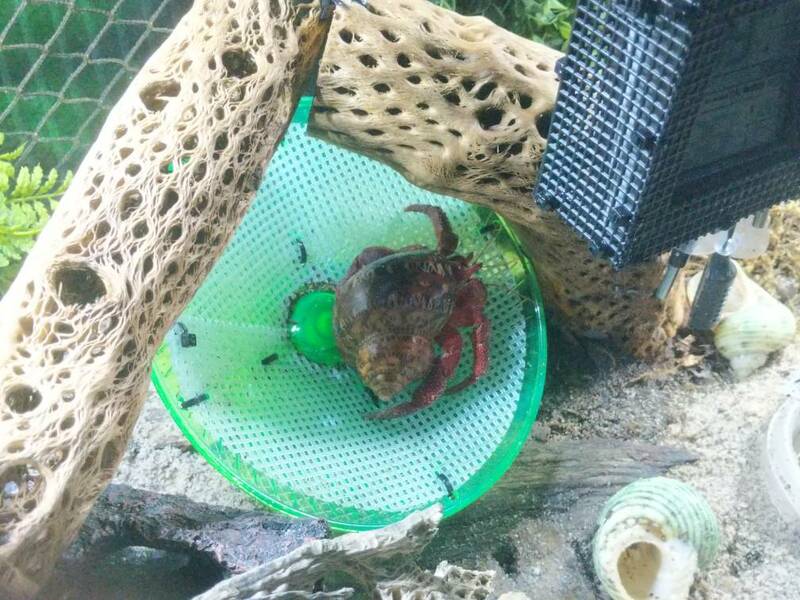 We bought a smaller wheel for Xenocrabs tank too but put it in without mesh. Some of them got on and off right away. I think the grooves they come with weren't enough and they would slide too much. I tried adding craft mesh to mine before I introduced it. It took them a while to try it and I do see them on it once or twice a week. The standard wheels are definitely the rides with the longest line at the amusement park for sure! 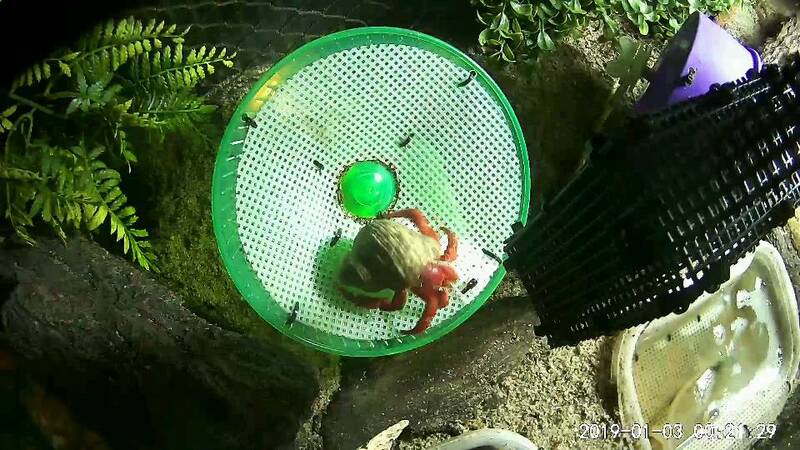 Speaking of amusement parks I can't wait until spring to open Crabby Land to my guys! I'm going to need A LOT of craft mesh and zip ties in the mean time!